The NS Navigator is a mobile application for drivers to perform their daily work. Simply log into the app and drivers will receive notifications whenever a job is available for them to perform. When commencing a job, drivers will receive an optimized route with spoken directions only towards the containers that need to be emptied. Everything we do is dynamic and event-driven, which means that even while trucks are en route if a container suddenly becomes full, it can be added to the nearest vehicle as space allows. Additionally, you will receive important analytics such as trip duration and cost estimation. 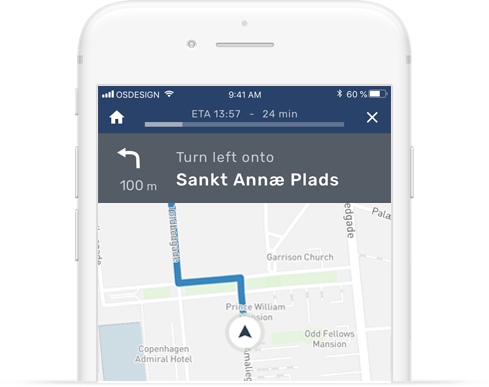 The Nordsense navigator app provides guidance for drivers to perform their daily collection routes. They will receive turn by turn directions to pickup only the containers that are in need of service. Drivers will also automatically be notified and re-routed were new containers happen to become full or a new on-demand pickup has been requested by one of your customers. 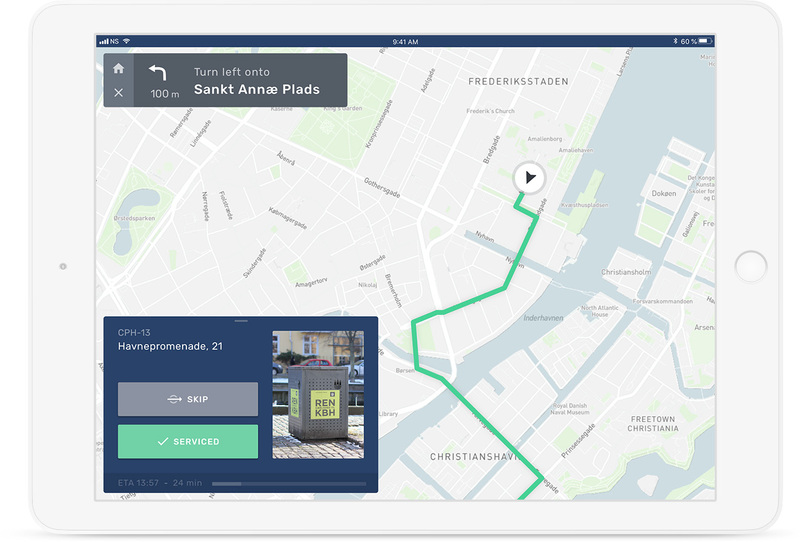 Our app uses contextual geofraphical information to aid the driver and minimize the amount of interaction he/she has to be peform with the device. Simply follow the directions and as soon as the truck is in the vicinity of the container, the app will notify you with a picture of what the container looks like. What devices / operating systems does the app support? Our app works on both smartphone and tablets whether iOS or Android. Both our app and spoken directions support different languages. Currently the app comes with English, Portuguese, Danish, German and Hebrew. There will be many more coming soon, but if we have a concrete project, that can of course be prioritized.